A pall of smoke spreads across the countryside during a fire at a recycling centre at Lewes last night. This picture was taken at Ridegwood by David Shoubridge. Uckfield firefighters joined crews from Lewes, Barcombe, Burgess Hill, Brighton, Newhaven, Heathfield, Crowborough and a command unit from Bexhill, to battle a blaze at Lewes last night. 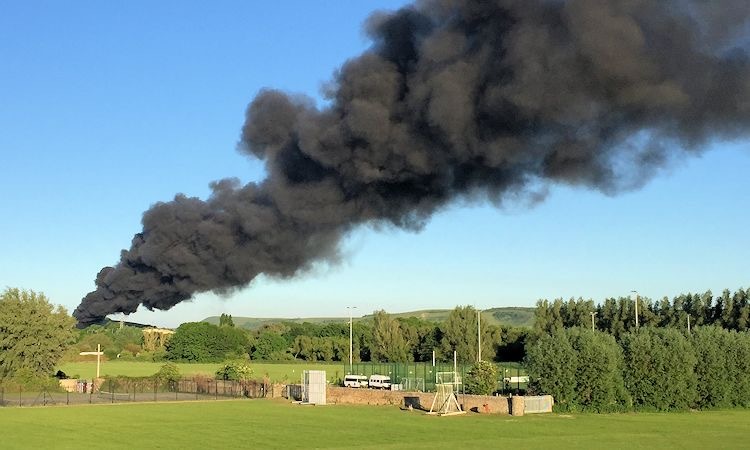 Police said the fire broke out at Greystone Quarry at Southerham just after 7pm and a large plume of black smoke could be seen from miles around. The smoke and burning debris led to the closure of the A27 between Lewes and Beddingham and the road was still closed this morning at 5.50am. 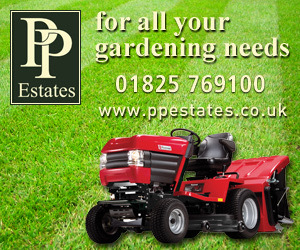 For updates see Traffic England. The fire service said the closure was due to be lifted at 7am. East Sussex Fire and Rescue, who expected to remain at the scene overnight, said ten pumps and two water carriers attended the blaze in 200 tonnes of rubbish. Read more about the fire on the BBC website. 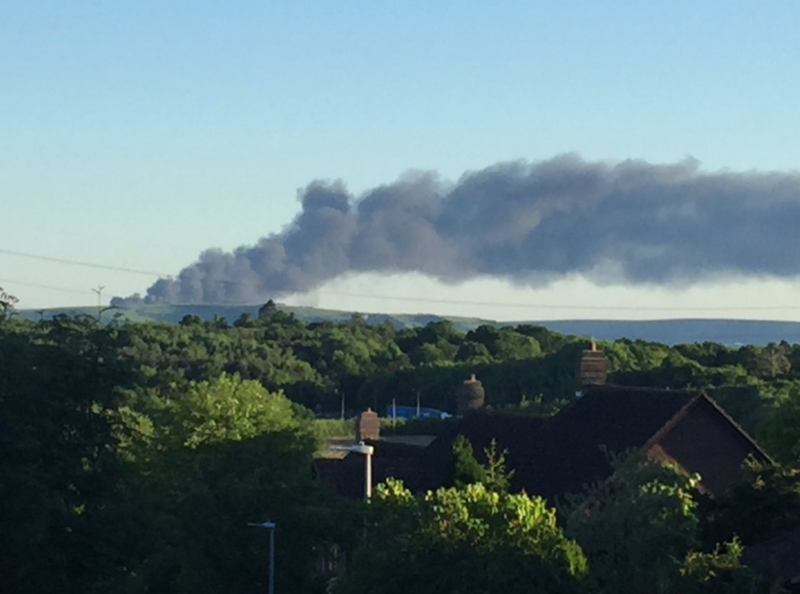 Another view of the plume of smoke spreading across the countryside during fire at a recycling centre at Lewes.